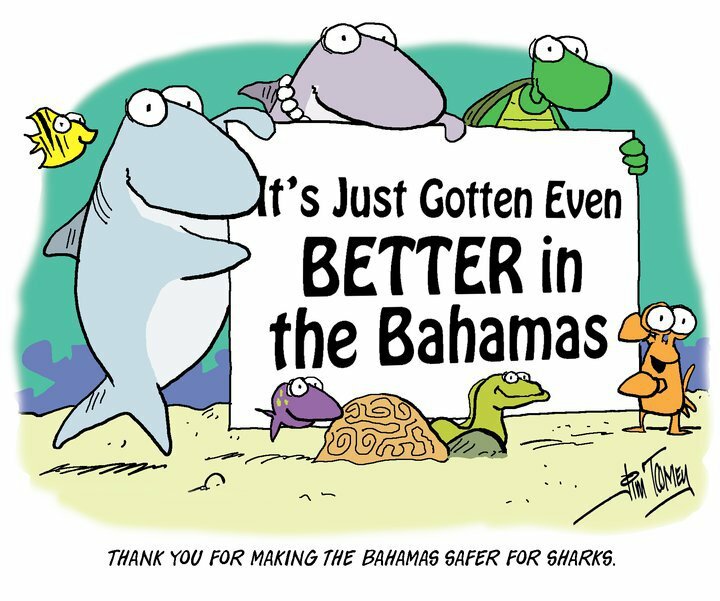 The Bahamas is the latest in a string of countries that are putting shark conservation at the top of the priority list. The Bahamas have converted 243,244 square miles of the country’s waters into a shark sanctuary, prohibiting any commercial fishing of the animals. “2011 is fast becoming the year of the shark,” said Jill Hepp, manager of global shark conservation for the Pew Environment Group in a press release. It certainly feels that way after all the news lately of more countries recognizing the importance of sharks — just last week Honduras announced its new shark sanctuary, and before that was the Maldives in 2010 and Palau in 2009. It’s no small wonder, as studies have shown how much more valuable to an economy sharks are when they’re alive than when they’re fished. With the Bahamas declaring nearly a quarter million square miles a sanctuary for shark, the total is up to 926, 645 square miles of ocean where commercial shark fishing is prohibited. It’s wonderful news — but only if the bans are enforced. This part of the equation is more difficult than creating the sanctuary itself. Illegal shark catches are unfortunately all too common, and with demand for shark fins still high in the world market, countries instituting bans on commercial fishing will have to put in the effort to ensure the bans are followed. ← Humpback Whales and more in the Atlantic!